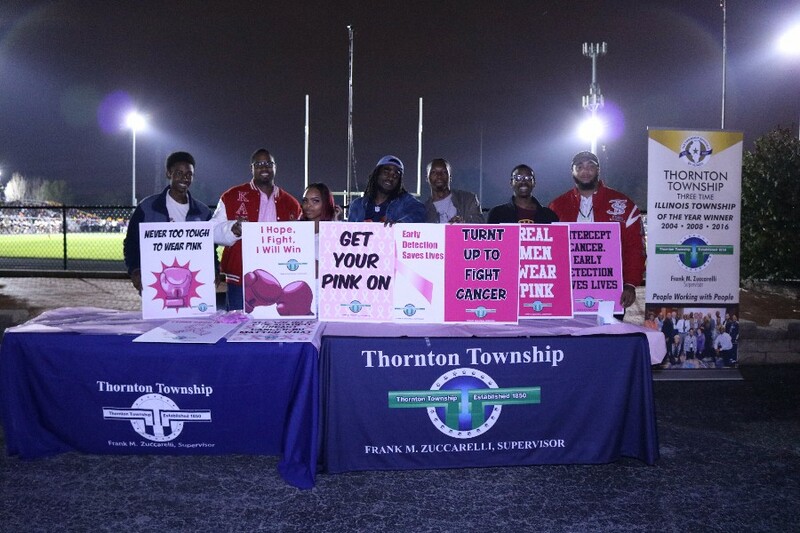 Chicago, IL – In honor of Breast Cancer Awareness Month, Thornton Township Supervisor Frank Zuccarelli and the Board of Trustees along with Thornton Fractional School District 215 present the Pink Out Football and Volleyball event. The games featured a Breast Cancer Awareness Campaign featuring Thornton Fractional North High School, 755 Pulaski Road, Calumet City, IL. Thornton Fractional North High School will battle the number 1 team in their conference – Lemont High School. National Breast Cancer Awareness Month begins on October 1st and ends on October 31st. Living by their motto of People Working With People, Thornton Township employees went down to Houston to deliver supplies to the devastated areas in the 5th ward. Once township officials saw the images of people affected, Thornton Township Supervisor Frank M. Zuccarelli soon organized an areawide donation campaign throughout September. Volunteer drivers delivered supplies in trucks donated by Blue Island-based W & W Towing. Along with various other organizations and municipalities such as Lansing, Riverdale, Phoenix and South Holland, they provided to provide supplies in the wake of Hurricane Harvey, which included water, diapers, baby formula, blankets and hygiene care products. 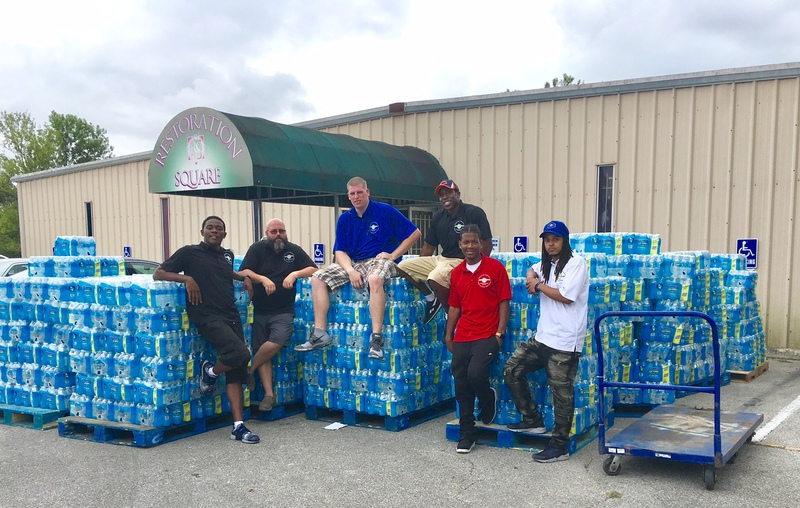 A few years ago, Thornton Township also helped during the Flint, Michigan water crisis. The donation was for Restoration Square Full Gospel Baptist Cathedral in northeast Houston. Inside the cavernous worship hall, co-pastor Tracy Glenn helped sort the necessities onto long tables. Of the 150 or so people in Restoration Square, about 10 percent had lost their homes, Glenn said. For the sixth time in less than a month, she was using her church to hand out supplies. Six township employees went on the trip including Thornton Township communication manager Ernst Lamothe Jr. Troy O’Quin, Josh Owen, Marshun Tolbert and Julian Wilson. With people being skeptical of whether their entire Red Cross Donations are going to the cause or if FEMA is reacting quickly enough, Thornton Township wanted to make sure the money and donations went directly to residents. “All the money donated by individuals for the hurricane relief went 100 percent to the relief and people appreciate that,” said Lamothe Jr.